Digitization at its simplest refers to the translation of analogue information into digital information. With rapid advancements in the capabilities and tools of digitization, it’s becoming increasingly possible to virtually translate and store nearly every aspect of life in digital form, moving closer to the networked interconnection of everyday objects. Further allowing us to transform and evolve information in real time, via a global exchange of information between multiple connected devices. The GSS18 Barcelona aims to introduce participants to research in design to production – centered around the two major nodes of human and technological advancement, allowing the user to explore design by establishing a dynamic workflow between matter and robotic fabrication. How can we enable citizens interacting with their cities ? What comes after Smart cities and smart citizen ? The workshop aims to explore a series of methodologies looking to incorporate advanced design thinking, generative algorithms and dynamic material feedback to existing industrial processes, accompanied with novel interfaces for robotic programming and large-scale automated construction. Articulated to challenge the quality of feedback between design, matter and making. During the workshop participants will have the opportunity to explore form finding strategies through digital tools and scale model making which later on will be built as a series of digitally fabricated architectural elements in 1:1 scale, embedded with smart sensorial interaction. Global Summer School programme will run from the 2nd to the 14th of July 2018: workshops, lectures and prototyping will happen at the same time in different geographic areas worldwide. Rodrigo Aguirre is a Nicaraguan architect specialised in parametric tooling, digital fabrication and manufacturing. He obtained his bachelor in architecture at UAM (American University) of Nicaragua and completed a master in Advanced Architecture at the Institute for Advanced Architecture of Catalonia (IAAC) in Spain. Rodrigo collaborates with the Institute’s R + D department and is involved in projects relying on advanced form finding and computational methods related to generative design. He is a principal member of the computational faculty and leads workshops internationally. Cristian Rizzuti is an interactive media artist working in Barcelona and Rome. Graduating in Visual and Multimedia Art, Cristian has achieved an M-IA Master course at IUAV University of Venice focusing on interactive immersive environments. After his studies, Cristian has presented his works in major events and locations in Europe, such as Sonar Barcelona, MAXXI museum Rome, Venice Biennale, ZKM museum Karlsruhe. Always inspired by Science and mathematics, Cristian has focused his personal investigation on the role of human perception and the definition of synesthetic spaces and emotional sounds connected to the body. Being inspired by digital arts, live media and interactive experiments, Cristian’s works can be described as light sculpture installations. Kunaljit Singh Chadha is an Indian architect and Digital and Robotic fabrication researcher. His early work experience at Menis Arquitectos (Canary Islands, Spain) helped him develop his curiosity towards materiality in architecture. To further investigate in this domain he pursued his masters at the Institute for Advanced Architecture of Catalonia (IAAC) in Spain and he joined the IAAC R+D department in 2016.. His research interests involve synthesis of material knowledge with fabrication techniques and has been involved with various researches with biodegradable materials using robotic fabrication. 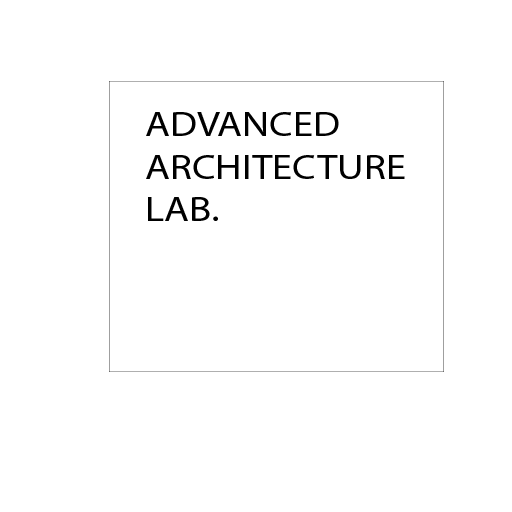 The Institute for Advanced Architecture of Catalonia (IAAC) is an international centre for Education, Fabrication and Research dedicated to the development of architecture capable of meeting the worldwide challenges in constructing 21st century habitability. Based in the 22@ district of Barcelona, one of the world’s capitals of architecture and urbanism, as well as the European Capital for Innovation (2014), IAAC is a platform for the exchange of knowledge with researchers, faculty and students from over 60 countries around the world. The Institute develops multidisciplinary programs that explore international urban and territorial phenomena, with a special emphasis on the opportunities that arise from the emergent territories, and on the cultural, economic and social values that architecture can contribute to society today. IAAC has also made its name as a centre of international reference, welcoming students and investigators from different countries among which Australia, the USA, India, Brazil, Russia, Ethiopia, all European countries and many others. Fee for Barcelona is 1500€ and includes all material costs needed for the course. No additional registration fee is required. Flight tickets, accommodation and food are not included in the fee. Each participant should bring his/her own computer with the software installed. Further details about the software will be given to the participants upon acceptance.